Foretelling the future before the end. The Prophet Hanani was sent by the Lord to rebuke King Asa of Judah for entering into a league with Benhadad I, King of Syria (Aram), against the northern kingdom of Israel (2 Chr. 16:1-10). This Hanani was also probably the father of the Prophet Jehu (1 Kings 16:7). 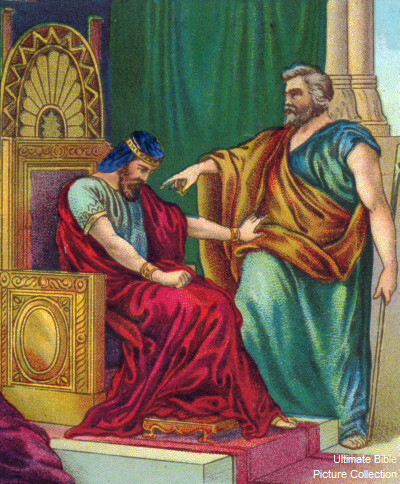 The events of Asa’s reign, from beginning to end, are written in the book of the kings of Judah and Israel. In the thirty-ninth year of his reign Asa was afflicted with a disease in his feet. Though his disease was severe, even in his illness he did not seek help from the Lord, but only from the physicians. Then in the forty-first year of his reign Asa died and rested with his ancestors. The Holy Prophet Hanani reposed in peace.